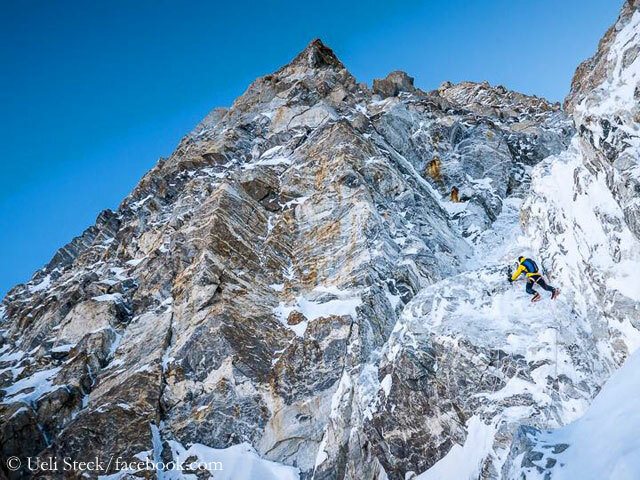 Only a few meters have been missing to the top, but they’ve climbed through the wall. 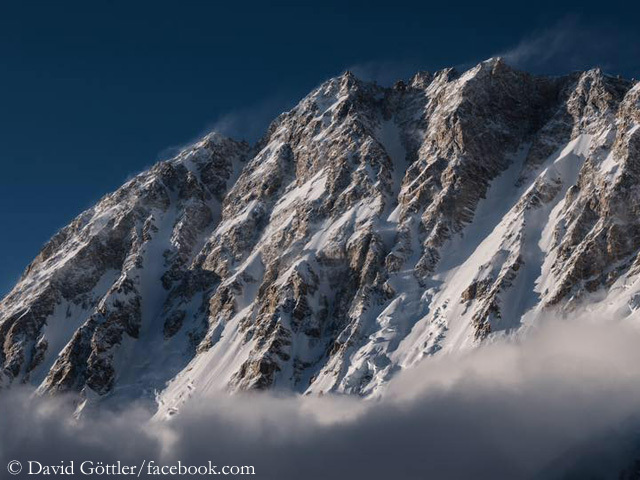 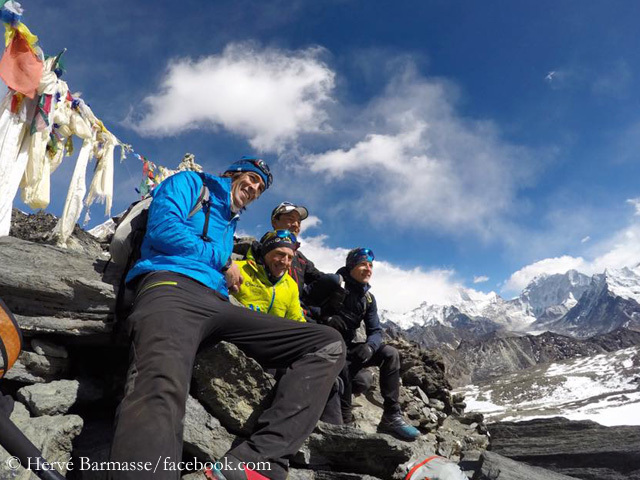 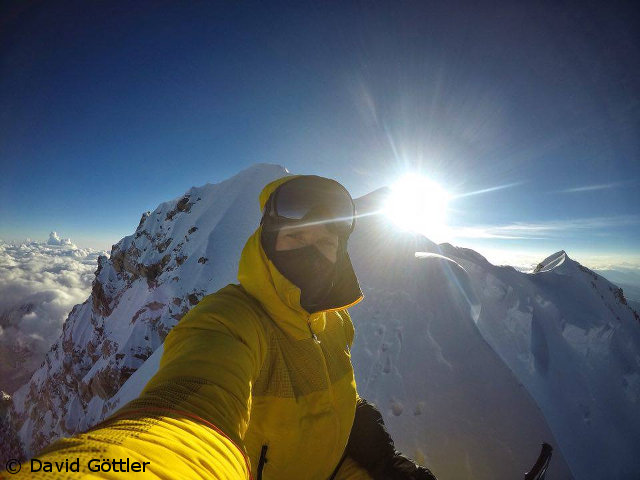 David Goettler and Hervé Barmasse entered the Shishapangma South Face on Sunday morning and climbed in 13 hours to a point just below the 8,027-meter-high summit. 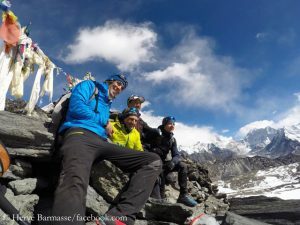 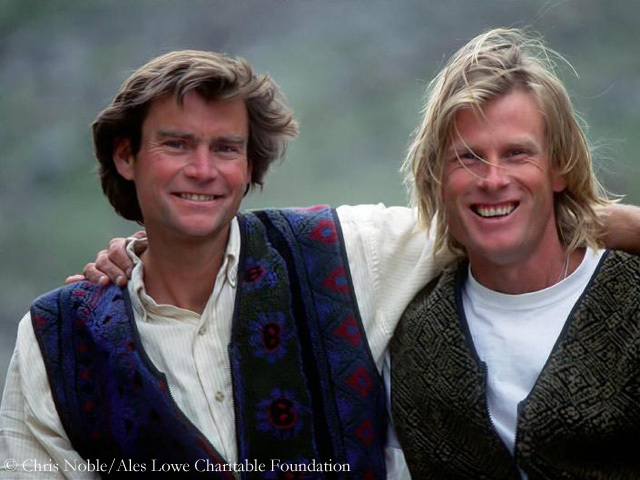 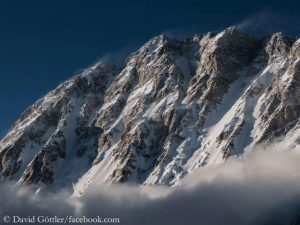 “We found a last traverse of about ten meters and then five meters up to the summit too delicate due to the avalanche danger,” David writes to me after returning to the Base Camp. 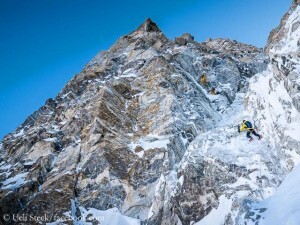 Originally, the 38-year-old German and his one year older climbing partner from Italy had planned to open a new route through the South Face. 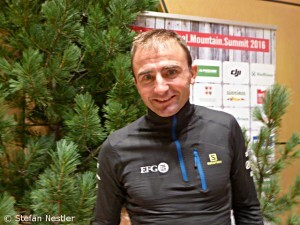 Like in spring 2016, when David had tried the same with the Swiss Ueli Steck, the weather conditions impeded the project. 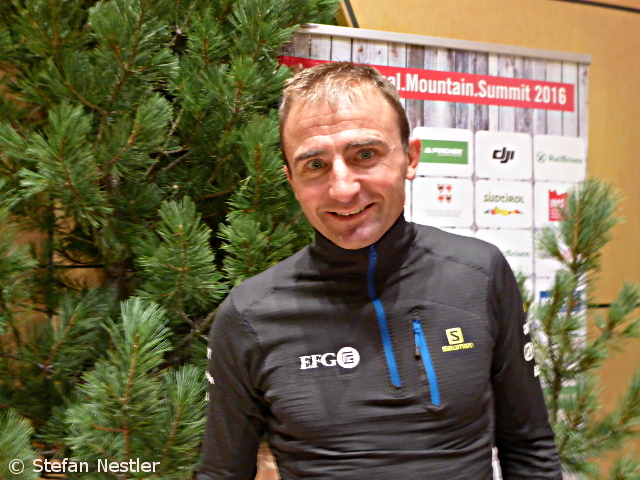 David Goettler and Hervé Barmasse are waiting for their chance. 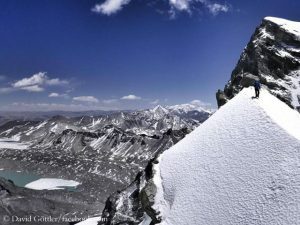 For a good weather window, which allows them to enter the Shishapangma South Face where they – as reported before –want to climb a new route. In contrast to Mount Everest, where both sides of the mountain are overrun by hundreds of climbers, the 38-year-old German and the 39-year-old Italian are alone in their Base Camp on the south side of the Shishapangma. I sent David four questions.